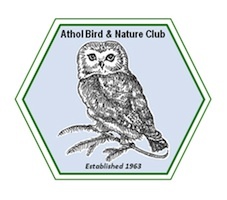 The Athol Bird and Nature Club does not care for injured or abandoned birds and animals. Wildlife rehabilitators are individuals, veterinarians and organizations that have been granted Wildlife Rehabilitation permits in accordance with 321 CMR 2.13. Permitted individuals may legally possess and treat birds, mammals, reptiles and amphibians with the exception of deer, moose, bear, federally-listed species and venomous snakes. If you find a sick or injured animal, it is important to contact the proper people who will provide care with the ultimate goal of release back to the wild. Rehabilitators may not charge fees for their services, but they will gratefully accept donations to help defray their costs. Only people who are licensed rehabilitators, or veterinarians who occasionally treat wildlife on an emergency basis, may legally care for wildlife. Anyone interested in becoming a licensed wildlife rehabilitator is encouraged to volunteer with an established rehabilitator to gain an understanding of the time and commitment involved. If you would like to learn more about wildlife rehabilitation, permit prerequisites and application procedures, contact the MassWildlife Boston Office at 617/626-1575. A statewide association, Wildlife Rehabilitators Association of Massachusetts (WRAM), hosts meetings and provides a network for member wildlife rehabilitators. Contact WRAM, 62 Common Street, Groton, MA 01450. If you find a sick or injured animal, the list below will help you locate a licensed rehabilitator. Many rehabilitators specialize in caring for certain types of wildlife such as songbirds or small mammals, however the permit allows them to accept all authorized wildlife.Call the rehabilitator first to find out what he or she generally accepts for wildlife species BEFORE you try to capture or transport an animal for care. Rehabilitators are usually unable to respond to pick-up injured wildlife, but they will provide advice on the best procedures for safely collecting the animal and will offer directions to their facility. Veterinarians are legally allowed to provide emergency service for injured wildlife and should then turn the animal over to a licensed rehabilitator. Some veterinarians are also rehabilitators and they are noted in the list below. If you care leave them there! If you find a young animal or bird that appears to be abandoned, do not pick it up! Adult animals of many species, such as rabbits and owls, limit the number of daily visits to their young. This prevents predators from discovering the location of newborns or hatchlings. Leave the area immediately. If you find a bird and have already handled it, place the bird back in the nest or in a tree or shrub close by. Birds lack a sense of smell, and will not reject a youngster placed back in the nest. Many backyard birds frequently outgrow their nest and leave days before they can fly. The parent birds will continue to care for their young, even away from the nest, so do not pick up the fledglings. To protect the young birds, keep cats and dogs away and/or move the chick to the nearest shrub or natural cover. Then leave the area and allow the parent birds to respond to the food-begging calls of their young. Never pick up a deer fawn. White-tailed deer fawns use their spotted coats as camouflage and remain motionless to avoid detection from potential predators, including humans. If you see a fawn curled up at the edge of a path or field, leave the area immediately and do not return. Your presence will prevent the doe from returning to her fawn for periodic nursing. Wildlife rehabilitators are not authorized to accept deer fawns.